Dubai, United Arab Emirates, 6 January 2019: Arabian Automobiles, the flagship company of the AW Rostamani Group and the exclusive dealer for INFINITI in Dubai, Sharjah and the Northern Emirates, offers an opportunity to make the best of the New Year and the Dubai Shopping Festival 2019. 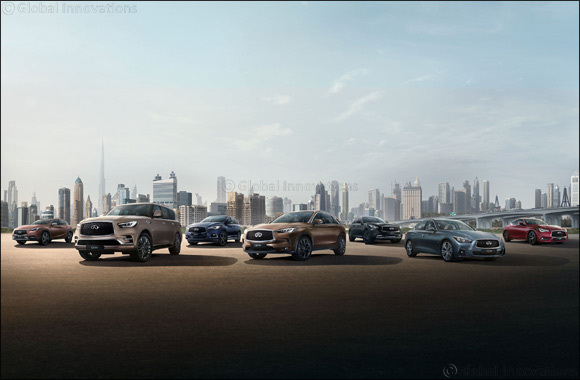 In one of the most rewarding campaigns to be rolled out by Arabian Automobiles, during DSF 2019, every INFINITI customer is guaranteed unbeatable cash awards. From cash back offers up to the value of the new INFINITI, the luxury experience is made even more worthwhile for customers as the entire 5 per cent VAT on the value of the car is paid by INFINITI. There is more in store: The insurance premium on your brand-new car will be covered for the first year by Arabian Automobiles. Start the New Year with this never-before offer from Arabian Automobiles, which is truly the best deal one can hope for on a new car purchase in addition to a five-year extended warranty on the car – not that one will need it, given the exceptional product quality that INFINITI assures. There is no other offer that will grant you all in one deal: A luxury drive, guaranteed servicing, one-year insurance and VAT on-the-house, extended warranty – and cash rewards for every customer. Visit the nearest INFINITI of Arabian Automobiles centre and book a test drive so you can prepare for the big purchase that will bring you outstanding value in 2019.